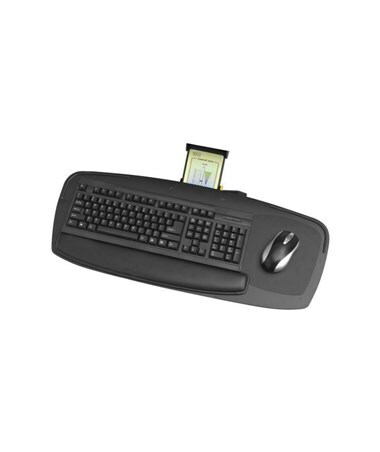 The Safco 27-Inch Keyboard Platform Premier Series is an ultra-thin keyboard/mouse platforms with the comfort zone feature. 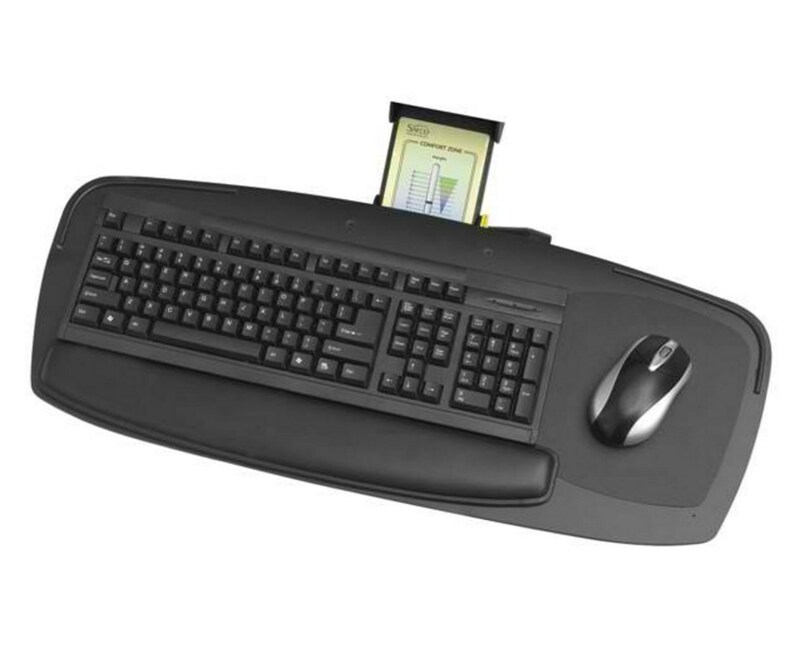 It indicates height and tilt allowing a consistent and customized positioning. The tilting angle can be adjusted from +10 degrees to -15 degrees with the help of the tilt knob, while the height can be adjusted up to 6 inches with the leverless lift and release mechanism. Also included is a soothing gel palm rest for a more convenient typing. This platform is made of phenolic plastic. It meets BIFMA safety standards and is GREENGUARD certified.